Is France changing its environmental plans? Today, people are becoming more aware of the world’s need for environmental awareness. I know it sounds a bit off to hear renewable energy being paired with the oil and gas sector but there are actually some companies who believe that this might be the perfect pair. But it looks like France is not digging this partnership. France is to stop granting licences for oil and gas exploration as part of a transition towards environmentally-friendly energy being driven by Emmanuel Macron’s government. 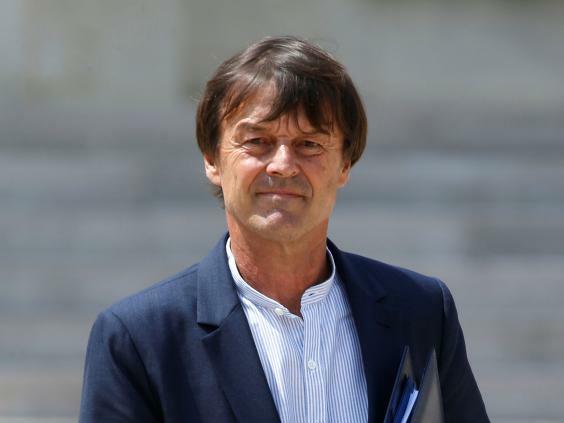 Nicolas Hulot, the “ecological transition” minister said a law would be passed in the autumn. “There will be no new exploration licences for hydrocarbons,” he told BFMTV. The minister, previously famed in France for his environmental activism and nature documentaries, also outlined proposals to increase the taxation on diesel and to “make decisions faster” to curtail pollution. Mr Macron said he was opposed to exploration for gas and favoured a ban on fracking during his election campaign, particularly in the overseas territory of French Guiana. But Mr Hulot was among those warning that any ban would trigger lawsuits from energy companies and saying change must be imposed gradually. Around 75 per cent of France’s electricity is currently provided by nuclear power stations, with the industry employing around 200,000 people and led by state-owned EDF. A law was passed last year to reduce the nuclear proportion to 50 per cent by 2025, sparking controversy over potential job losses and the closure of up to 20 reactors. Mr Macron reinstated his commitment to the law last month but has evaded concrete targets for the ultimate aim of making France run completely on renewable energy. The President is also planning a huge renovation programme for French homes to reduce energy consumption, cut carbon dioxide emissions, reduce energy poverty and create jobs. He and Mr Hulot discussed renewable energy schemes and global warming with Arnold Schwarzenegger, the actor and former Governor of California, as part of his trip to France on Friday. Mr Schwarzenegger said he was honoured to speak to Mr Macron and ministers about “how we can work together for a clean energy future” and was seen posing with a T-shirt reading “Make Our Planet Great Again” with Mr Hulot. The Hollywood star has publicly sparred with Donald Trump, a fellow Republican and Apprentice host over climate change and the President’s decision to withdraw the US from the historic Paris accords. France was among the countries heavily criticising the decision, with the government posting an annotated White House video on social media refuting the President’s claims that the agreement was a “bad deal” for the US. Mindblowing Secret Behind 3, 6, and 9 Finally Revealed!